"I know, all to well, what it means to be committed to something, but you folks are above and beyond. You must truly love your profession (I hesitate to refer to it as “work”.)" 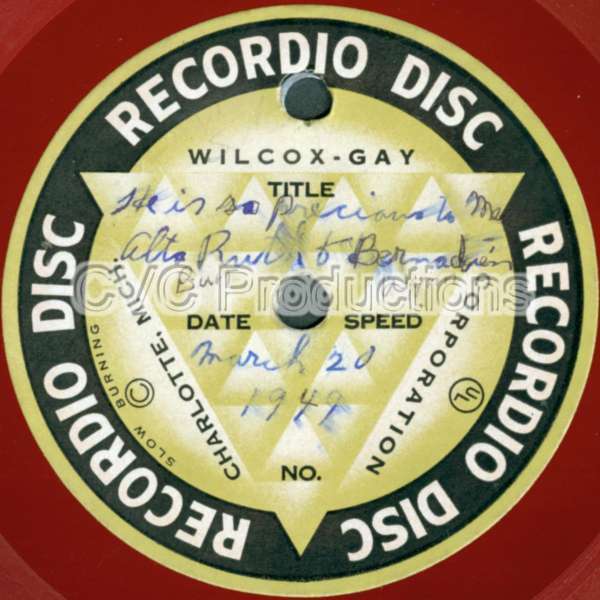 Recordio Disc Wilcox-Gay is one of the Home-Made-Records (custom made records, automat machine records) we have received and processed at our studio. Do you have a similar one? When you're ready to order your transfer, here's the link: home-made-records transfers.